Soft skills, or employability skills, have become the hard skills of today’s workforce. 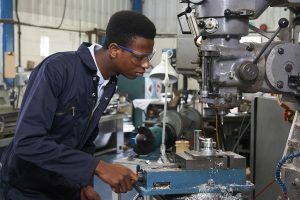 Research conducted by Harvard University, the Carnegie Foundation and Stanford Research Center concluded that 85% of job success comes from having well-developed soft skills, and only 15% of job success comes from technical skills and knowledge. Yet, employers say that applicants are unprepared for work because of their lack of these soft, employability skills. Competitive Advantage addresses the self-management, reading and writing, customer service, time management, and teamwork skills recruiters use to sort applicants for positions. Graduates with the ability to apply these skills in work settings stand out from the candidate crowd and land the jobs. With Competitive Advantage, your students learn to apply their skills in work settings. Five modules of four lessons each provide abundant problem-solving and critical-thinking activities. The interactive exercises, appealing visuals, and easy-to-understand materials afford robust learning to advance your graduates from applicants to employees. You can use Competitive Advantage as an individualized learning experience or as a teacher-directed activity. 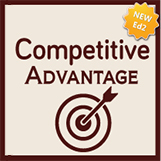 Competitive Advantage Ed2 is available with The Teacher’s Desktop online. Edition 1 without The Teacher’s Desktop is available on CD. View a Critical Thinking lesson from Competitive Advantage by accessing this link. The material shows typical elements you will find in each lesson. Click here for titles of all modules and pricing. When you use the online version of Competitive Advantage with The Teacher’s Desktop, your time-consuming tasks will be greatly reduced. The Teacher’s Desktop with all online products from Career Solutions Publishing functions in the same manner. You may view The Teacher’s Desktop with Job Ready Career Skills to see typical functioning. The CD version of Competitive Advantage contains the student program only and does not include The Teacher’s Desktop. Scores are reported to students only. Copyright 2019 © Career Solutions Publishing. All Rights Reserved.